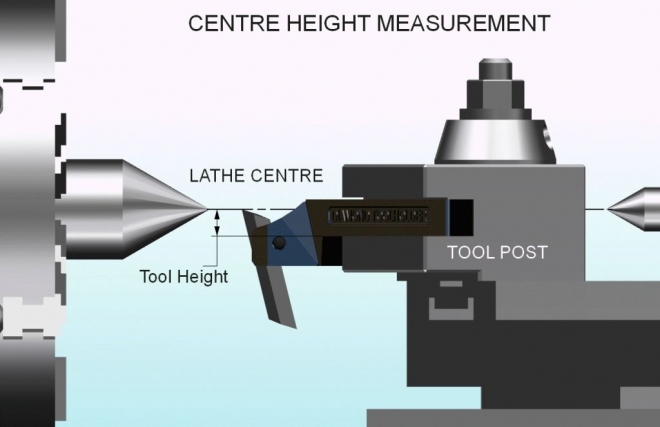 To select the correct size tool holder for your lathe, take a measurement from the base of the tool post where the holder will sit on, to the centre height line of the lathe. This measurement is the lowest practical setting that the tool bit should go down to, but the tool tip can be moved up or down for fine adjustment to get the point on centre. Of course you can always put a piece of packing under the holder to bring it up higher for a bigger lathe. The shank is larger than the tool height on the smaller tool holders so also check the gap you have in the tool post slot to make sure the shank will fit. If you are using an adjustable tool post, set it close to its lowest point before measuring. Once you have decided which tool holder is best for your lathe, use the online shop to purchase.